Because each lot might include the beans of 100 different farmers, great Sumatra relies on strong relationships and sharp tasting skills, as we sample exhaustively for every lot we select, looking for the most exceptional body and sweet herbal nuances to coax out with our signature Peet’s roast, with the result being a gutsy, glorious coffee that brews a richly seductive cup. BLENDS FOR ALL TASTES: Single serve doesn’t mean single taste. Whether you enjoy starting each morning with Peet’s dark roast House Blend, our light roast Café Domingo or you prefer a variety, you can keep your morning routine without brewing a whole pot. SAME CARE, SAME COFFEE: The coffee in Peet’s K-Cups for your Keurig Brewing System is the same quality coffee, roasted with the same care, as our bagged coffee. Enjoy the convenience of a single cup of fresh coffee with the taste & quality of Peet’s. 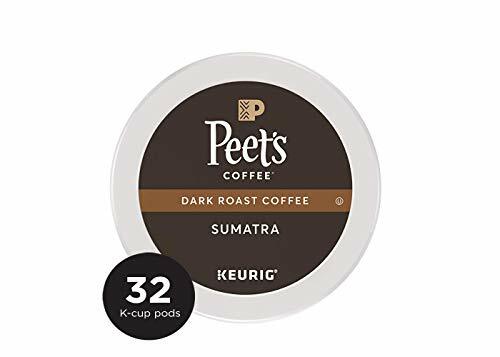 LIGHT, MEDIUM & DARK ROAST: Peet’s K-Cup single serve coffee pods brew a mug of coffee in some of our most popular blends. Light roast coffees are mild & smooth, medium roast coffees are smooth & aromatic, while dark roast coffees are smoky & full bodied.